Secrets Overheard ACEO card with werecat eavesdropping. Oil painting of a cheetah werecat eavesdropping on some politcal intrigue. 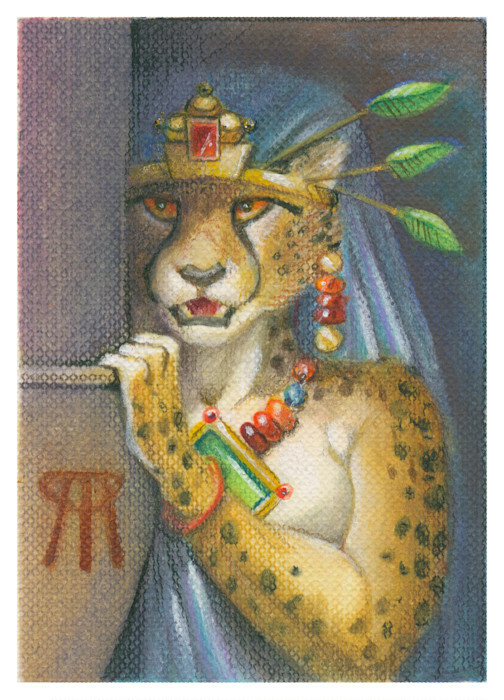 Small 2.5 x 3.5 inch ACEO painting done in oils of a cheetah werecat eavesdropping on some politcal intrigue.